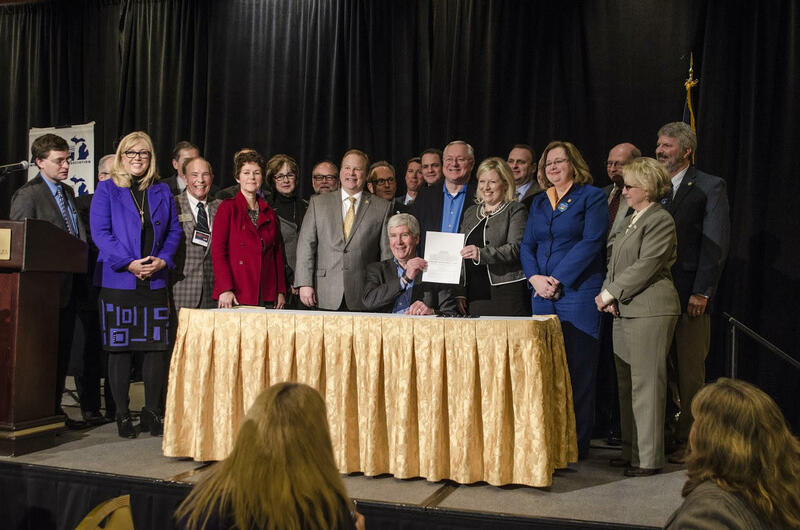 PR expert Michael Friedman says aside from the fact that the Flint spending bill was signed in Grand Rapids and not Flint, the smiling faces in this photo was a bad idea. In the coming months, there will continue to be much debate and discussion over the Flint water crisis. Who made the wrong decisions, and who knew what, when? What about a discussion about the way Gov. Rick Snyder’s team, and the governor himself, have handled what has been a public relations nightmare? Matt Friedman, the co-founder of Tanner Friedman Strategic Communications, joined Stateside to give some expert analysis and critique on the public relations side of the water crisis, starting with a missed opportunity by Gov. Snyder and his team. Some view the governor’s hiring of a crisis management firm as being controversial, but Friedman said it was “absolutely necessary.” He said a traditional communication staff, often times, isn’t equipped or experienced enough to handle a crisis of this magnitude. Listen to the full interview to hear more analysis of the Snyder administration’s handling of the Flint water crisis aftermath and to hear Friedman’s top three recommendations he would give to the governor and his team. Listen to the interview with PR expert Matt Friedman. Michigan Lt. 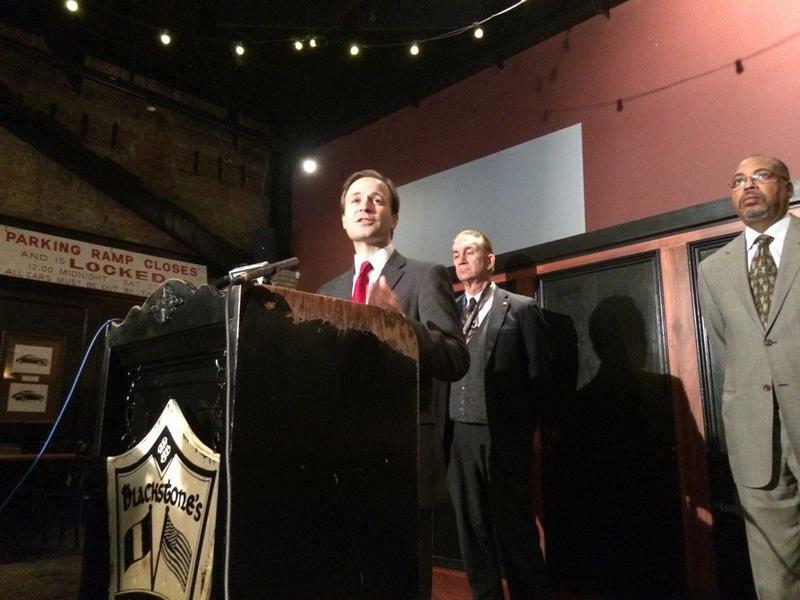 Governor Brian Calley declined to answer questions about calls for Governor Rick Snyder to resign. Democrats say the Republican governor should step down because of his handling of the Flint water crisis. If he did, Calley would become governor. In Flint today, Calley declined to speculate on Snyder resigning. “I know the governor is completed committed to seeing this through,” he said. Gov. 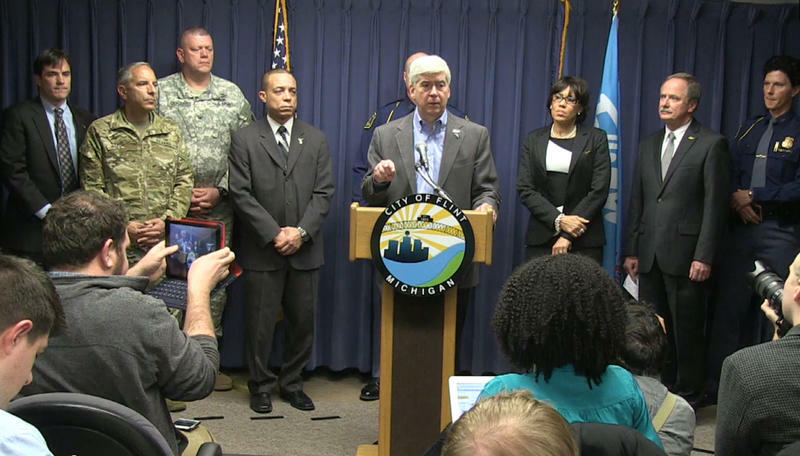 Snyder spoke at a morning meeting of the Flint Water Interagency Coordinating Committee. His remarks come after revelations that one of his top aides knew about an outbreak of Legionnaires' disease in Flint and its possible links to the Flint River, almost a year before Snyder says he found out about it. The Flint water crisis has attracted attention and outrage from all over the globe, but unfortunately, the city of Flint isn’t the first to have its population affected by lead. Due to the age and condition of lead water lines, it’s entirely possible that other cities around the country are currently suffering from elevated lead levels. 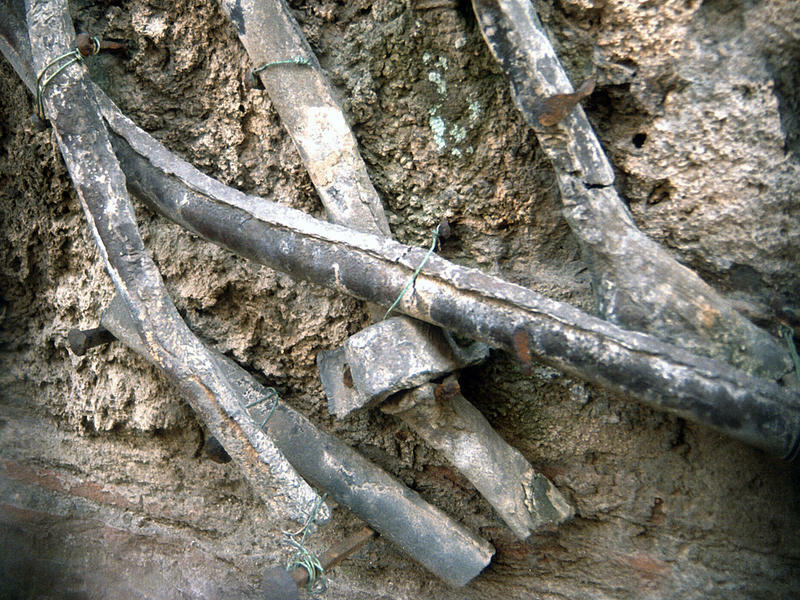 The most recent large-scale example of lead poisoning was discovered in 2001 in Washington D.C.